Torpedo Bay Navy Museum and Of Hand & Heart will appeal to museum buffs. Visiting Muriwai Gannet Colony and Orewa Beach will get you outdoors. Go for a jaunt from Auckland to Warkworth to see Ransom Winery about 1h 20 min away. The adventure continues: stroll through Bethells Beach, take a stroll through Ponsonby, look and learn at Stardome Observatory & Planetarium, and contemplate the long history of Parnell. To find other places to visit, traveler tips, photos, and tourist information, go to the Auckland travel route app . San Francisco, USA to Auckland is an approximately 15.5-hour flight. You can also do a combination of train and flight. You'll lose 20 hours traveling from San Francisco to Auckland due to the time zone difference. Traveling from San Francisco in November, Auckland is somewhat warmer at night with lows of 63°F. Wrap up your sightseeing on the 5th (Mon) early enough to drive to Paihia. On the 6th (Tue), contemplate the long history of Akeake Historic Reserve Track, pause for some serene contemplation at St James Anglican Church, then take a peaceful walk through Manginangina Kauri Walk, and finally take in the dramatic natural features at Wairere Boulders. To find reviews, ratings, where to stay, and tourist information, read Paihia trip planner . Drive from Auckland to Paihia in 3 hours. Alternatively, you can do a combination of bus and flight; or take a bus. You will leave for Waitomo Caves on the 8th (Thu). Start off your visit on the 8th (Thu): head outdoors with Waitomo Clay Birds and then tour the pleasant surroundings at Te Toto Gorge Lookout. On the 9th (Fri), you'll have a packed day of sightseeing: get engrossed in the history at Raglan & District Museum, then enjoy the sand and surf at Ruapuke Beach, and then Head underground at Piripiri Cave Walk. To see photos, reviews, more things to do, and other tourist information, use the Waitomo Caves trip builder website . You can do a combination of bus and flight from Paihia to Waitomo Caves in 4.5 hours. Other options are to drive; or do a combination of flight and bus. Wrap up your sightseeing on the 10th (Sat) early enough to travel to Hawera. Hawera is the second-largest town in the Taranaki region of New Zealand's North Island, with a population of. Discover out-of-the-way places like Tawhiti Museum and Dawson Falls. Your cultural itinerary includes sights like Percy Thomson Gallery and Cape Egmont Lighthouse. 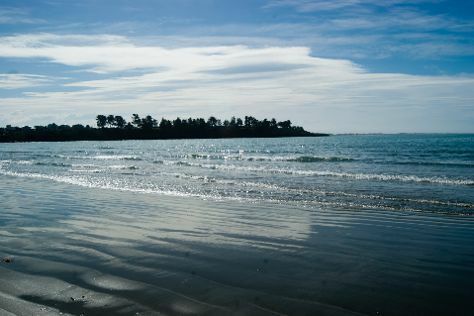 Get out of town with these interesting Hawera side-trips: Colonel Malone's Statue (in Stratford), Oakura Beach (in Oakura) and Opunake Beach (in Opunake). There's much more to do: identify plant and animal life at The Goblin Forest, admire the natural beauty at Hollard Gardens, and stroll around King Edward Park. To see more things to do and tourist information, you can read our Hawera day trip planner . Drive from Waitomo Caves to Hawera in 3.5 hours. Wrap up your sightseeing on the 13th (Tue) to allow time to travel to Wellington. On the 14th (Wed), pause for some serene contemplation at Saint Mary's Church, stroll through Scorching Bay, then get a sense of history and politics at Government House, and finally delve into the lush surroundings at Otari-Wilton's Bush Native Botanic Garden. On the 15th (Thu), you'll have a packed day of sightseeing: admire the landmark architecture of Old St Paul's and then walk around East Harbour Regional Park. To see more things to do, photos, reviews, and more tourist information, go to the Wellington tour itinerary planner . Traveling by car from Hawera to Wellington takes 4 hours. 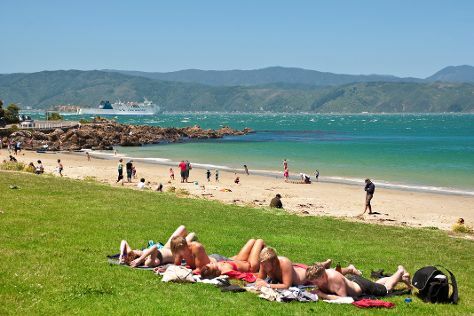 In November in Wellington, expect temperatures between 63°F during the day and 53°F at night. Wrap up your sightseeing on the 15th (Thu) to allow time to travel to Picton. Take photo after stunning photo in Picton, the gateway to South Island. On the 16th (Fri), examine the collection at Edwin Fox Maritime Museum, learn about winemaking at Framingham Wines, then do a tasting at Wither Hills Cellar Door, and finally examine the collection at Omaka Classic cars. Keep things going the next day: take in the waterfront activity at Picton Sound, then do a tasting at No.1 Family Estate, and then paddle through the water with a kayaking and canoeing tour. To find maps, photos, where to stay, and more tourist information, read our Picton trip itinerary website . Fly from Wellington to Picton in 3 hours. Alternatively, you can ride a ferry. November in Picton sees daily highs of 63°F and lows of 53°F at night. Cap off your sightseeing on the 18th (Sun) early enough to travel to Christchurch. On the 18th (Sun), admire all the interesting features of Port Hills, see the interesting displays at The Toy Collector, then contemplate the long history of Riccarton House & Bush, and finally admire the masterpieces at Christchurch Art Gallery (Te Puna o Waiwhetu). On the 19th (Mon), you'll have a packed day of sightseeing: take a tour by water with Boat Tours & Water Sports. To see maps, more things to do, and other tourist information, use the Christchurch trip itinerary site . Getting from Picton to Christchurch by flight takes about 4.5 hours. Other options: take a train; or drive. Traveling from Picton in November, you can expect nighttime temperatures to be little chillier in Christchurch, with lows of 46°F. Wrap up your sightseeing by early afternoon on the 20th (Tue) to allow enough time to travel to Timaru. Timaru is a port city in the southern Canterbury region of New Zealand, located 157 kilometres southwest of Christchurch and about 196 kilometres northeast of Dunedin on the eastern Pacific coast of the South Island. For more things to do, ratings, other places to visit, and more tourist information, you can read our Timaru holiday planning app . Traveling by car from Christchurch to Timaru takes 2.5 hours. Finish your sightseeing early on the 21st (Wed) to allow enough time to travel to Dunedin. 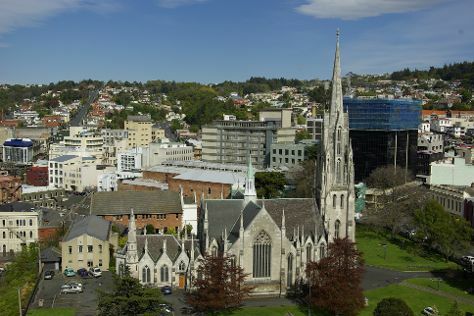 Start off your visit on the 22nd (Thu): admire the natural beauty at Dunedin Chinese Garden, take in the architecture and atmosphere at St. Paul's Cathedral, then explore the galleries of Dunedin Public Art Gallery, and finally pause for some serene contemplation at First Church of Otago. You can plan Dunedin trip in no time by asking Inspirock to help create your itinerary. You can drive from Timaru to Dunedin in 2.5 hours. Wrap up your sightseeing on the 22nd (Thu) early enough to travel to Invercargill. Invercargill is the southernmost and westernmost city in New Zealand, and one of the southernmost cities in the world. Start off your visit on the 23rd (Fri): tour the pleasant surroundings at Rakiura Rides, steep yourself in history at Demolition World, and then examine the collection at Classic Motorcycle Mecca. To see maps, photos, more things to do, and tourist information, you can read our Invercargill trip planning site . Traveling by car from Dunedin to Invercargill takes 3 hours. Finish your sightseeing early on the 23rd (Fri) so you can travel to Stewart Island. For photos, ratings, reviews, and other tourist information, read Stewart Island trip maker . Explore your travel options from Invercargill to Stewart Island with the Route module. On the 23rd (Fri), you'll travel to Te Anau. Get ready for a full day of sightseeing on the 25th (Sun): identify plant and animal life at Ivan Wilson Park, examine the collection at Fiordland Vintage Machinery Museum, and then look for all kinds of wild species at Te Anau Bird Sanctuary. To see reviews, traveler tips, where to stay, and other tourist information, use the Te Anau trip builder website . Use the Route module to find suitable travel options from Stewart Island to Te Anau. Finish your sightseeing early on the 25th (Sun) to allow enough time to travel to Milford Sound. To find traveler tips, reviews, other places to visit, and other tourist information, go to the Milford Sound day trip planning app . Use the Route module to find suitable travel options from Te Anau to Milford Sound. You'll set off for Franz Josef on the 25th (Sun). On the 26th (Mon), take in the pleasant sights at Tatare Tunnels Walk, hike along Peters Pool Walk, then hike along Sentinel Rock Walk, and finally hike along Roberts Point Track. Get ready for a full day of sightseeing on the next day: hike along Fox Glacier Te Moeka o Tuawe Valley Walk, then take in the pleasant sights at River Walk, then stroll through Minnehaha Walk, and finally take in the exciting artwork at ReflectioNZ Gifts & Gallery. You can plan Franz Josef trip in no time by asking Inspirock to help create your itinerary. You can do a combination of flight and bus from Milford Sound to Franz Josef in 9.5 hours. Other options are to do a combination of bus and car; or take a bus. Wrap up your sightseeing on the 27th (Tue) early enough to travel to Abel Tasman National Park. Kick off your visit on the 28th (Wed): look for all kinds of wild species at The Grove Scenic Reserve, hike along Riwaka Resurgence, then get interesting insight from Waka Abel Tasman, and finally kick back and relax at Kaiteriteri Beach. On the next day, Head underground at Rawhiti Cave Track, stroll through Pupu Hydro Walkway, then brush up on your knowledge of spirits at Dancing Sands Distillery, and finally take in the dramatic scenery at Wainui Falls Track. To find more things to do, maps, where to stay, and more tourist information, read our Abel Tasman National Park tour planning website . Explore your travel options from Franz Josef to Abel Tasman National Park with the Route module. Finish up your sightseeing early on the 29th (Thu) so you can travel to Nelson. Put on your shades to enjoy the sights of Nelson, one of the sunniest cities in New Zealand. Start off your visit on the 29th (Thu): take in the exciting artwork at South Street Gallery. On the next day, take in the exciting artwork at Kereru Gallery, take in the exciting artwork at Michael Macmillan Sculptor and Country Homeware, then learn about winemaking at Rimu Grove Winery, and finally look for all kinds of wild species at Brook Waimarama Sanctuary. To see more things to do, maps, photos, and more tourist information, use the Nelson online trip builder . Use the Route module to find suitable travel options from Abel Tasman National Park to Nelson. Finish your sightseeing early on the 1st (Sat) so you can drive to Picton. For traveler tips, reviews, more things to do, and more tourist information, use the Picton route planner . Getting from Nelson to Picton by car takes about 2 hours. Other options: take a bus. Finish your sightseeing early on the 2nd (Sun) to allow enough time to travel to Wellington. Kick off your visit on the 3rd (Mon): explore the different monuments and memorials at Bolton Street Cemetery, get the lay of the land with Walking tours, and then learn about all things military at National War Memorial. For more things to do, traveler tips, and tourist information, refer to the Wellington online sightseeing planner . Traveling by flight from Picton to Wellington takes 3 hours. Alternatively, you can ride a ferry. Finish your sightseeing early on the 3rd (Mon) so you can travel to Napier. Enjoy the atmosphere and architecture of 1930s design in Napier, one of the best-preserved Art Deco cities in the world. To see reviews, photos, and other tourist information, use the Napier tour itinerary maker . Fly from Wellington to Napier in 3.5 hours. Alternatively, you can drive; or take a bus. On the 3rd (Mon), you're off toWairoa. Wairoa is a town in New Zealand's North Island. Eschew the tourist crowds and head to Lake Waikaremoana Great Walk and Wairoa Museum. Get outdoors at Eastwoodhill Arboretum and Mokotahi Hill. Take a break from Wairoa with a short trip to Millton Vineyards & Winery in Manutuke, about 1h 20 min away. The adventure continues: Head underground at Mangaone Caves Track, contemplate the waterfront views at Lake Waikaremoana, and tour the pleasant surroundings at Whakamahia Beach. To see more things to do, reviews, where to stay, and more tourist information, you can read our Wairoa trip itinerary site . You can drive from Napier to Wairoa in 2 hours. On the 7th (Fri), wrap the sightseeing up by early afternoon so you can travel to Hawera. Kick off your visit on the 8th (Sat): explore the world behind art at Lysaght Watt Gallery, look for all kinds of wild species at Rotokare Scenic Reserve, and then take an in-depth tour of Elvis Presley Memorial Room. Keep things going the next day: surround yourself with nature on Moonacre Alpaca's NZ and then tee off at Stratford Golf Course. To see ratings, maps, other places to visit, and other tourist information, use the Hawera online road trip planner . You can drive from Wairoa to Hawera in 6 hours. Finish up your sightseeing early on the 9th (Sun) so you can travel to Waiheke Island. Start off your visit on the 10th (Mon): admire the masterpieces at Connells Bay Sculpture Park, then do a tasting at Kennedy Point Vineyard, then look for gifts at Rangihoua Estate, and finally see what you can catch with a fishing tour. On the 11th (Tue), you'll have a packed day of sightseeing: identify plant and animal life at Onetangi Forest and Bird Reserve and then do a tasting at Te Motu Vineyard. For photos, maps, ratings, and tourist information, you can read our Waiheke Island trip itinerary builder . Explore your travel options from Hawera to Waiheke Island with the Route module. December in Waiheke Island sees daily highs of 70°F and lows of 59°F at night. Finish your sightseeing early on the 11th (Tue) so you can travel to Te Kuiti. On the 12th (Wed), appreciate the history behind Statue of shearer, make a trip to Sir Colin Meads Statue, then examine the collection at The Gallagher Meads Brothers Exhibition, and finally kick back and relax at Kawhia Hot Water Beach. To see other places to visit, maps, where to stay, and tourist information, you can read our Te Kuiti online trip itinerary planner . Traveling by car from Waiheke Island to Te Kuiti takes 4 hours. On the 13th (Thu), wrap the sightseeing up by early afternoon so you can travel back home.